Backers of the measure on your April ballot want Spokane's visitors to help pay for the city's sights. Among the reasons Measure 1 backers say you should pass it: more March Madness. Spokane’s big-ticket development advocates have lined up behind the ballot measure to extend Public Facilities District taxes. One of the three projects on the table — adding more seats to the Spokane Arena — would make Spokane a contender to host NCAA basketball tournament games, according to Mick McDowell, chairman of the Public Facilities District Board. McDowell says passage of the measure in the April 17 special election will add 750 seats to the Spokane Arena. The seats, located in the empty space behind the western scoreboard, will bring the arena in line with NCAA requirements for a minimum of 12,000 sellable seats for tournament games. 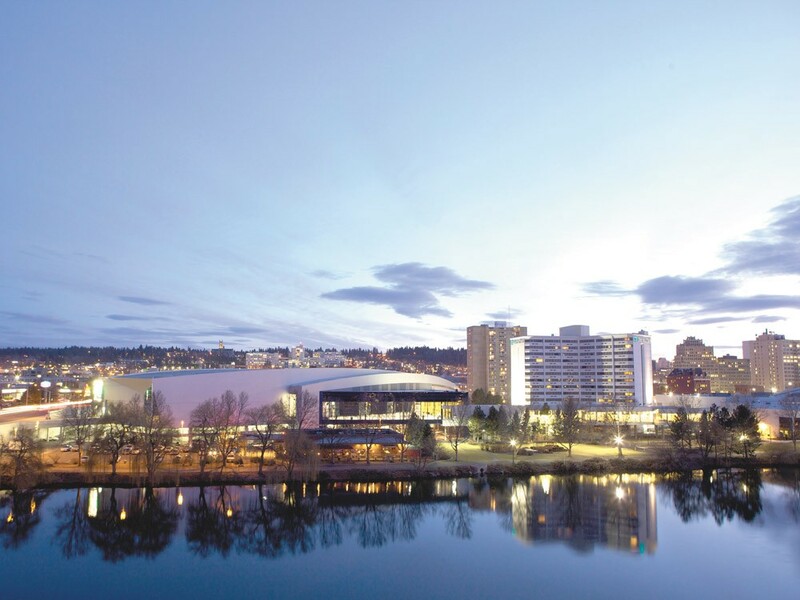 The measure would also fund expansion of the Spokane Convention Center’s exhibit hall and improvements to the Centennial Trail, McDowell says. The taxes — which provide project funding for the arena, the convention center and the INB Performing Arts Center — were initially approved in 1992, and extended again in 2002. Comprised of a hotel/motel tax and a tenth-of-a-penny sales tax, the measure would extend the district’s funding through 2043. It would also allow the district to secure between $60 million and $65 million from the bond market, McDowell says. Cheryl Kilday, executive director of Visit Spokane, says the city needs to update the projects to not only meet new standards like the NCAA’s but also to keep up with other cities’ civic improvements. “The natural cycle is about every 10 years you need to do something like this,” Kilday says, adding that the city of Omaha, Neb., and others have recently undertaken improvements. Kevin Twohig, chief executive officer of the PFD, says construction projects have gotten cheaper in the Great Recession, spurring cities to undertake improvements. Twohig says the three facilities contribute about $171 million in economic impact annually. That includes pulling in over $55 million from outside Spokane County. Kilday says the economic benefits of the convention center are easily quantified in terms of lucrative conventions and filled hotel rooms. Kilday, McDowell and Twohig say they know of no organized resistance to the measure. But Kilday says some people confuse it with a tax increase.